United Nations climate conference tells business: support us on climate change | Watts Up With That? Business must lobby governments to fight climate change, according to the United Nations. On November 14th as part of the current Warsaw climate conference, the UN issued a new report titled, “Guide for Responsible Corporate Engagement in Climate Policy,” urging active business participation in the UN climate crusade. But is this the best course for business to serve customers and protect the environment? 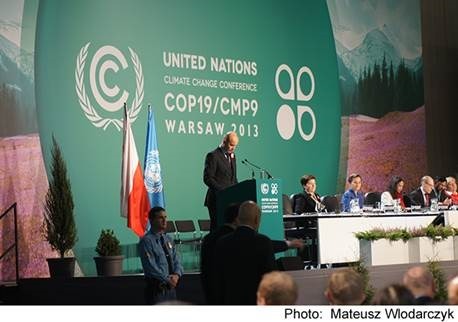 Representatives from more than 190 nations are meeting in Poland, to lay the groundwork for a binding agreement on greenhouse gas emissions by 2015. The tough issues include the size and timing of emissions cuts and contributions to the $100 billion climate fund, to be paid annually to developing nations in 2020. But negotiations are not going well. China surpassed the United States in 2007 as the largest emitter of greenhouse gases, but does not want to rein in emissions. India has 300 million people without access to electricity and wants other nations to make cuts. Developing nations demand that industrialized nations make deep emissions cuts and large contributions to the $100 billion climate fund, for past emissions sins. Industrialized nations are reluctant to pursue further emissions reductions without participation from developing nations. The new UN report on corporate engagement will be highlighted in a special session of the conference on November 19. The report calls for companies to lobby governments to support a “global legal agreement on climate change.” Firms must push for a “carbon price throughout the global economy.” But last week, new Australian Prime Minister Tony Abbott introduced a bill to repeal that nation’s hated carbon tax, a major setback for international efforts. The report was produced for the UN by leading environmental groups, including the World Resources Institute, the Carbon Disclosure Project, the World Wildlife Fund (WWF), Ceres, and The Climate Group. All of these organizations receive major funding from companies who strive to be responsible corporate citizens. For example, for many years Coca-Cola has funded the environmental efforts of the WWF. The company runs the “Arctic Home” promotional campaign, featuring a white Coca-Cola can with an image of a mother polar bear and her cubs, raising over $3 million to date for the WWF. Children all over our nation are breaking piggy banks to send money to save the bears. In 2007, the US Geological Survey published a 30-year detailed study of polar bear populations on the north coast of Alaska, using bear capture, tagging, and electronic collaring to track bear populations. The study concluded that, although ice had declined 30 percent in the region over the period, bear populations increased by 30 percent. So both the polar bears and the WWF are doing quite well. To be good citizens, some companies are voluntarily buying electricity from expensive wind and solar sources. Shareholders accept this profit-reducing activity, believing this contributes to slowing man-made global warming. But according to the International Energy Agency, wind and solar supply less than one percent of global energy needs, and coal-fired energy is growing. Last week, Japan announced that it was changing its national 2020 emissions target from a decrease to an increase from the year 1990. Both Japan and Germany replaced nuclear plants with coal-fired plants in the wake of the Fukishima nuclear disaster, so emissions for both nations are growing. In 2011 UPS began using biodiesel at major US shipping hubs. The company stated, “This project helps us reduce our dependence on fossil fuels with the added benefit that it will also reduce air pollution and carbon emissions.” But mounting evidence shows that business use of biodiesel is negative for both people and the environment. A recent study by the International Food Policy Institute concludes that current biofuel policies do not reduce CO2 emissions. United Kingdom’s Chatham House points out that biofuel efforts increase “the level and volatility of food prices, with detrimental impacts on the food security of low-income food-importing countries.” Rain forests are being replaced in Malaysia and Indonesia with palm oil plantations for biofuel. Since climate change is dominated by natural, not man-made factors, there is no United Nations agreement that will have a measureable effect on Earth’s climate. There is no corporate policy that will have a measurable effect on icecap size, sea level rise, the frequency or intensity of hurricanes or storms, droughts, or floods. 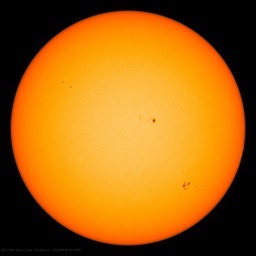 No UN policy, however broadly endorsed by nations and companies, will have a measurable effect on global temperatures. For a real difference and not just a public relations difference, companies should direct efforts toward measures that solve real problems. Innovative products and services for humankind, reduction of real pollutants (not carbon dioxide), and support for efforts to bring electricity, clean water, sanitation, health care, and prosperity to developing nations should be corporate goals, rather than futile efforts to halt climate change. ← How Rare was the November Midwest Tornado Outbreak? So if FN aren’t supported from facts instead of computermodels, then business is next in line to be called for help? $ 100 Billion (US dollars?) starting in 2020 – a full presidential cycle away! The USA is generally expected to be one of the big payees to these global funds. That will be a hard sell for an Administration with more fires than hoses. Right…just like Solyndra…sucking on the tax payers nickle. Wiki: Confidence trick – A confidence trick (synonyms include confidence scheme and scam) is an attempt to de f raud a person or group after first gaining their confidence, in the classical sense of trust (Latin: con-fidere). A confidence artist (or con artist) is an individual, operating alone or in concert with others, who exploits characteristics of the human psyche such as dishonesty, honesty, vanity, compassion, credulity, irresponsibility, naïveté, or greed. That one sentence is so saddening. About the most positive spin I can suggest is that it prepares the little darlings to live in a world where those “corporate influences” are finding new ways every day to screw people’s money out of them in exchange for nothing at all. I can’t see businesses being too keen, they are feeling the pinch already, many of them on the brink of going under. I would imagine they will lobby the governments in quite the opposite direction, or at least I *blinking* well hope so. One more try at avoiding the spam bin … before I give up! Wiki: Con fidence trick – A con fidence trick (synonyms include con fidence scheme and s cam) is an attempt to de fr a ud a person or group after first gaining their con fidence, in the classical sense of trust (Latin: con-fidere). A con fidence artist (or con artist) is an individual, operating alone or in concert with others, who exploits characteristics of the human psyche such as dis honesty, honesty, vanity, compassion, credulity, irresponsibility, naïveté, or gr eed. I would think so, wouldn’t you? I specifically boycotted buying Coke when the cans were white polar bears. Sodastream (stock symbol SODA) makes a machine for under $100 that allows buyers to create carbonated soft drinks at home. It’s coming on strong. It’s an alternative to Coke. In other words “Business must lobby governments to raise taxes”. ‘Bankrupt yourselves and die, then the world will be left for us rich folks’. That would just about sum up the UN/CEO approach. Another desperate appeal based on fantasy. Everybody knows this centralized power structure is losing their grip. Their reign of power is collapsing. I boycott anything with WWF sponsorship – or any of the others that I recognize – everything, right down to toilet paper. If enough people did that, businesses might shy away from donating to terrorists and CAGW activists. Actually, one of my favourite lines when I go into a store, is: “Have you got anything that isn’t Green?” (always spoken loudly). I always get a “Yes,” and shown alternatives – even by young members of staff fresh out of school, something I find very encouraging. Hurrah for corporations seeing through the lies, tortured data and pal-reviewed junk. I want to leave my grand kids more than a mountain of public debt for no public benefit. It’s time we stopped funding the UN. 1. A gigantic boondoggle to debate the non-problem of climate change. 2. A reward for being a good, pointless, bureaucrat. 3. A forum by which largely corrupt, Third World, countries attempt to guilt trip the less corrupt, First World nations into giving them huge amounts of funds to “combat the effects of climate change.” A policy surprisingly well supported by the Swiss Banking Federation. 4. A place where China and India actively lobby the western world to commit economic suicide, while ensuring they themselves are 100% exempt from adopting the same policies. 5. As more and more western countries are waking up to the realisation (UK and USA exempted) that supporting policies of economic suicide is fast losing popularity among their electorates, the super-bureaucrats of the UN have turned their sights on business. While this may be construed as desperation, it is doomed to failure as business is generally much more practical on the subject of adopting policies of economic suicide than populist politicians. On the plus side, the local Warsaw economy has been given a welcome boost. I cannot think of any any other positive points for this conference. Anyone? There’s always an “Or else”. Or else what? If it’s anything like the other conferences, the hookers and limo services from other countries that were required make up local shortfalls also benefited and not just the local economy. I believe that’s a positive. In my book Credentialed to Destroy I lay out the template first laid out in the mid-70s that the economy in the West should be planned and run by the active coordination of governments at all levels, Big Business, and research universities. This paper is merely calling on businesses to remember that Green Growth is pushed by OECD and the UN in part to finally get this Turchenko vision finally fully in place. Last week at the Global Cities conference in Mexico City this same trio economic collaboration was being shorthanded as the Triple Helix. Cronyism with tax dollars would be another term but it is the vision as is the related continued push to eliminate the distinction between the public and private sector. Have you notice that the UN and Ban Ki-Moon has also been out drumming up support. As usual he address his audience by talking over the heads of the country’s electorate and attempt to address, and appeal, to the vanity of the current administration directly? Also he requires the ‘rich’ western nations to sacrifice their hard earned wealth because the settled science dictates it must be so. Why? If the science is so settled then all countries must be sacrificed on the UN’s alter of settled science not just western nations. He requires that the US lead this campaign, a campaign that no one here has voted for. – Bob Geldof’s famous TV outburst during Live Aid, Wembley Stadium, 1985. I’m continually amazed that anyone takes these people seriously. Jonathan Swift could have written the COP stories. Businesses taking lower profits to save the planet? I suppose that means utilities and utilities get to stick the extra cost on the rate payers and make a profit, so why should they care? They get great advertising at the rate payers’ expense. Companies making less profit, usually means a new CEO. If the various governments won’t kick in and businesses won’t kick in then the next plan is to have people dressed as polar bears on every street corner ringing a bell beside their donations kettle. That, or take a tip from the Girl Scouts and sell Climate Change cookies door-to-door. The world is starting to run out of other peoples’ money. Yes, they’re all there with their hands out but no one is keen to cough up this time. Coverage of this by the Aussie media is almost non-existent. The whole thing is clearly unsuccessful and will fail to produce a Treaty! Grief – are they all still there at that conference..? How is the world coping without them..?? Canada, Australia, Japan, have rejected AGW fanatical obsession over CO2 and the rent seeking hyping of a climate catastrophe. The UN groups promoting the idea of big money flowing into their control to deal with the ‘climate crisis’ are demonstrating moral hazard on a grand scale. The last thing a responsible business should do is to participate in the sort of unethical frauds the NGO’s and UN flunkies rely on. When the AGW gravy train finishes derailing, it will be the businesses that participated who will be blamed. The government and NGO parasites will just move on to the next big con-job opportunity with impunity. Businesses will be left holding the bag. Except of course to the admen at Coca-Cola. As a business investor I see no reason to support something that would have a negative effect on my investments, especially when there is no proof that there is anything wrong in the first place. Most companies corporate greenness comes from the PR department where it is seen to be advantageous to the business to be ‘green’. As soon as it appears reasonable to drop it all, no doubt they will as it won’t be cost effective. I have no problem with that. Likewise, I would have no problem with one of my companies taking full advantage of any subsidies that are on offer – if they don’t go after them then a competitor will. I would hope that the is a plan B in place for when the truth dawns and the subsidies dry up. Ask Vestas, the manufacturer of inefficient windmills. Siemens CEO paid the price for blindly stumbling down the green path and the Bosch boss just about got away with it once the scale of the losses became known. The Geldof analogy is fitting since once the rose-tinted glasses are removed it turned out that the money raised actually made things worse by prolonging the government-derived famine. It aint easy being “green”. The UNFCC is just trying to help. Sheesh. Which businesses is the clown referring to? Business that lives by crony capitalism? Or business which produces a useful product, desired by voluntary customers? One way to look at the “request” is to consider the crony business takes a real hit, when the bureaus are forcibly shrunken. Any business that wants my business had better stay out of politics and avoid becoming lobbyists for the climate change scam. They’re going to have to wait in line for their turn at shake down, behind unions, tax enhancers, social spenders, shovel ready scams, temporary tax fixes, and low-growth new normal. Another example of just how dangerous this organization can be. Shut it down.